Spotify Music tips and solutions, latest spotify songs news. Would you like to save Spotify songs to a USB drive? Have you ever thought to get music on Spotify onto USB drive? With Tune4mac Spotify Audio Converter Platinum, you can download songs from Spotify by converting them to MP3, AAC, WMA, FLAC, and transfer them to USB drive easily. How to set Spotify song as custom iPhone ringtone? You can't directly move your Spotify songs to iPhone and make them to ringtones. Tune4mac Spotify Audio Converter Platinum can help you convert Spotify songs to AAC or MP3 so that you can import these songs to iTunes. Then you can make Spotify music to as iPhone ringtone easily. This article is mainly to tell you how to download Spotify music and save to MP3 audio with Tune4mac Spotify Audio Converter Platinum, so you can listen to Spotify music on any MP3 players on the go. If you are running out of space on your Android device, you have the chance to install Spotify on your SD card directly. It is much more convenient to move Spotify songs to SD card directly. 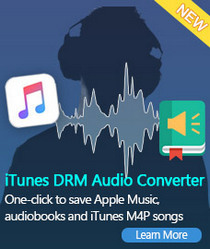 Tune4mac Spotify Audio Converter Platinum can help you to download Spotify music and playlists to MP3, AAC, FLAC and WAV, so that you can save them to SD card easily. Pink has returned with Beautiful Trauma, her first studio album in more than five years. Beautiful Trauma is available now on iTunes and Apple Music, or you can stream it via Spotify. Tune4mac Spotify Audio Converter Platinum can help you to download Pink's Beautiful Trauma full album MP3 for free. In this way, you can play Spotify music in any MP3 players you have on the go. Spotify users can't download Spotify music as MP3 and play them anywhere. That's because the songs are basically DRM protected, which protect you playing music outside Spotify client. Tune4mac Spotify Audio Converter Platinum can help you to extract MP3 audio from Spotify and play them anytime anywhere as you like. Spotify is a streaming service, not a download service. With Spotify Premium, you can play music on your computer/mobile offline, but there's no way to export content outside of Spotify. With Tune4mac Spotify Audio Converter Platinum, you can record and download Spotify music with lossless audio quality. If you are considering the option to try one of the music streaming services, Spotify is one of the best for you. Before that, you can see the pros and cons of Spotify. And Tune4mac Spotify Audio Converter Platinum helps you to download Spotify songs for free. Months after slaying us all with his incredible single 'Attention', Charlie Puth is back at it again with the second track 'How Long' to be taken from his sophomore album Voice Notes. In this article, Tune4mac Spotify Audio Converter Platinum helps you to download Charlie Puth new song 'How Long' MP3 from Spotify for free. How do you download music from Spotify to your android phone offline without Premium? 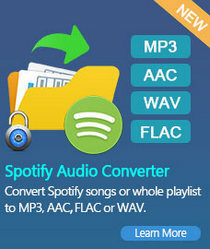 Tune4mac Spotify Audio Converter Platinum is one of the best Spotify to Android Converter. It can help you to download Spotify music to MP3, WAV, AAC or FLAC, then you can transfer the converted Spotify music to your\ Android phone easily. Would you like to transfer Spotify music or playlists to your iTunes library? Tune4mac Spotify Audio Converter Platinum can help you to convert Spotify music to AAC, MP3, WAV or FLAC, then you can add the converted Spotify files to iTunes library succeccfully. Taylor Swift released the second new song '...Ready For It' on her upcoming sixth album, Reputation, the song is the record's lead-off track and focuses on the beginnings of a romantic relationship. Now you can download '...Ready For It' from Spotify freely with Tune4mac Spotify Audio Converter Platinum. Tune4mac Spotify Audio Converter Platinum allows you to download Spotify Free Music easily by decrypting Spotify audio files and converting them to common MP3, WAV, AAC and FLAC with high audio output quality kept. Spotify is a digital music service that gives you access to millions of songs. This article will tell you the main difference between Spotify Free and Spotify Premium. After you cancel the subscription, all the music can't work and play any longer, even you have downloaded it, for the DRM limited. If you can remove the DRM limitations, you can still play your Spotify music songs even when you cancel it. Spotify supports music fans new choices to enjoy music songs. There are so many songs for you to choose. But if you are Spotify user, you can only enjoy and play music songs on Spotify, if you have one MP3 player, is there any way to play Spotify songs on the MP3 player? If you want a better audio quality, AAC will be the right choice. But how to get AAC files from Spotify songs and playlists. Follow the next tutorial, you will know how to use Tune4mac Spotify Audio Converter Platinum to convert Spotify music songs to AAC format at faster conversion speed with lossless quality output. There are this and that cases you need to WAV music songs, how to extract WAV format files from Spotify playlists. With the next tutorial, you will know how to use Tune4mac Spotify Audio Converter Platinum to convert Spotify music songs to WAV format at faster conversion speed with lossless quality output. If you want to download music from spotify as flac, you've come to the right place! With Tune4mac Spotify Audio Converter Platinum, you can convert Spotify playlist or Music files to FLAC format at faster conversion speed with ID3 tags kept. Have you ever thought to burn Spotify music or playlist to a CD? Burning Spotify songs to CDs is a great way to backup your Spotify music collections. By using Tune4mac Spotify Audio Converter Platinum you can decrypt Spotify playlist or Music files eaisly. With this tutorial, you can burn Spotify songs or playlists to CDs as you like. Spotify and Apple Music are top two best music, podcast, and video streaming service. This article will mainly discuss the difference between Spotify music and Apple Music from fllowing several points of view. Here Tune4mac Spotify Audio Converter Platinum and Apple Music Converter are recommended. With the two programs, you can enjoy Spotify and Apple music anytime and anywhere.